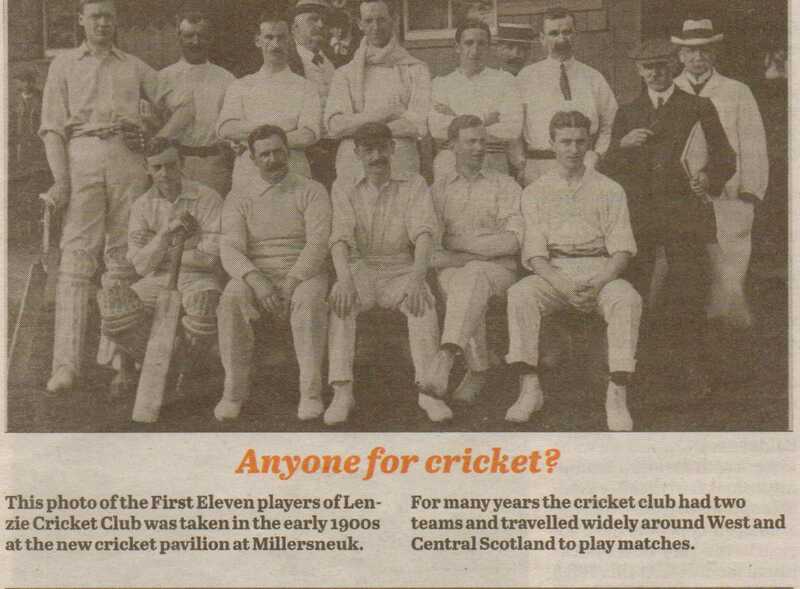 Lenzie Tennis Club was started in 1888 by enthusiastic members of the Lenzie Cricket Club, becoming Lenzie Cricket and Tennis Club. 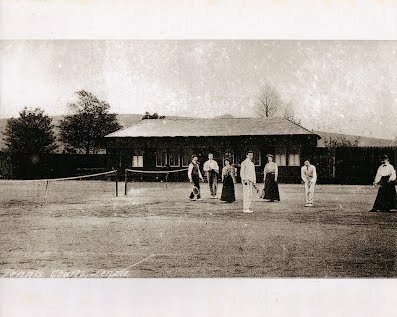 In 1901 the flourishing tennis section broke away from the cricket section and became Lenzie Tennis Club as it is still known today. 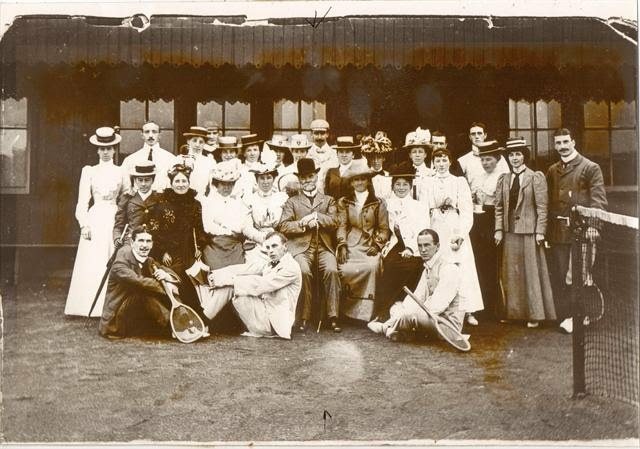 In 1888, three red ash courts were constructed, and opened by the President of the Club, Mr. Dempster, on 15 May 1888. The Kirkintilloch Herald reported that the courts compared favourably with the best courts in the West of Scotland. The first AGM of the club was held on 12 February 1889 and listed thirty Lady Members and forty Gentlemen Members. The committee was all male, but it was decided to form a Ladies’ Committee to provide teas at the club. For many years, the courts were reserved every evening for the exclusive use of the Gentlemen Members. 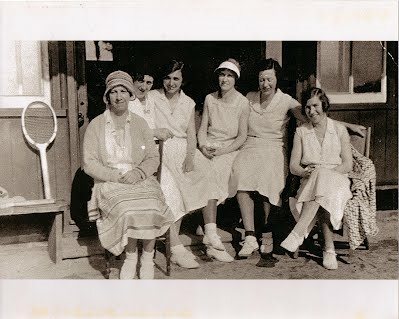 If the Ladies wished to arrange a match, they had to apply to the Committee and play the match during the day. In 1889 a Junior section was formed, and play permitted only during weekdays, and never after 5pm. In 1893 a fourth court was constructed to accommodate an ever-increasing membership. By 1894 there were 100 members of the club. It was reported that “night after night all four courts were in full swing”. 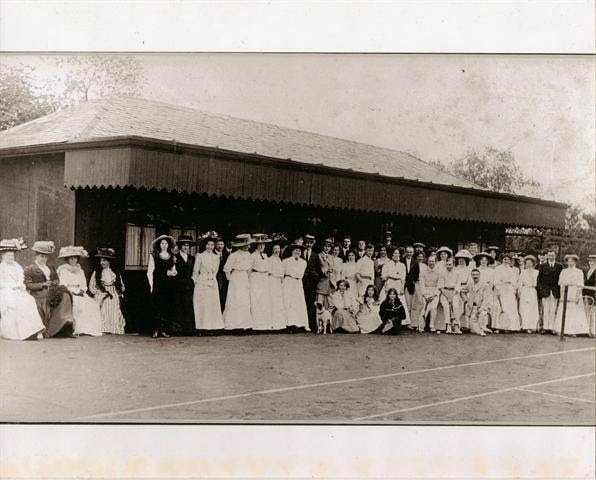 Lenzie was one of the first clubs to affiliate to the West of Scotland LTA in 1905. Matches at that time consisted of all male or mixed doubles. 1911 saw the introduction of a ladies team. 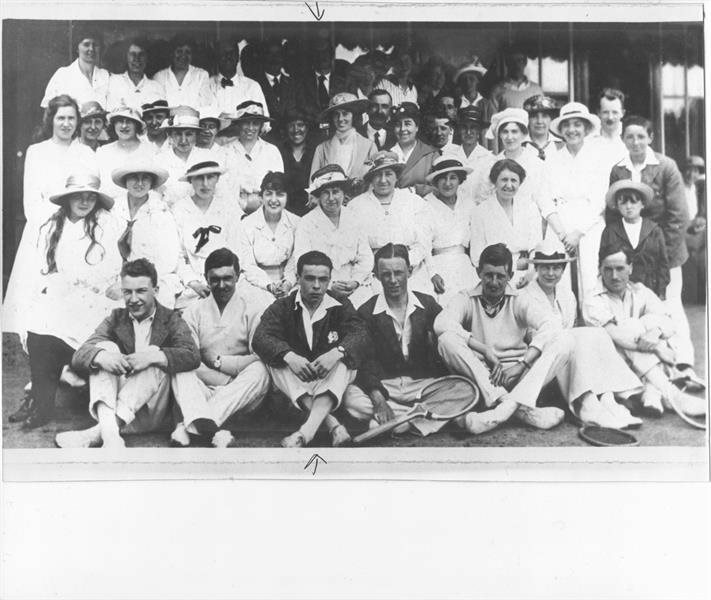 For the season of 1921, the Club entered two Ladies, two Gents and one Mixed Doubles in the West of Scotland Leagues. This format with the addition of Junior Teams and Vet teams has continued to the present time. In 1989 new all-weather courts were constructed, however dreams were shattered when the all-weather playing surface was in fact not what it should have been. 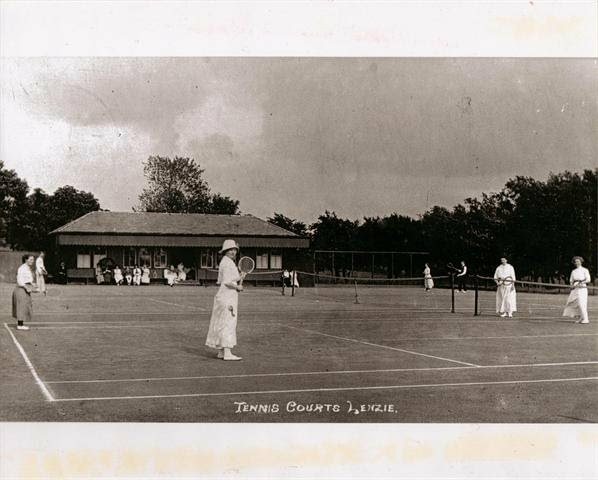 It took another nine years before the Club had tennis courts that it deserved. In 1996 an application for Lottery Funding was submitted for a new, artificial grass surface and floodlights. This application was granted. The new courts opened in the summer of 1998, more than one hundred years after the first courts were constructed in Lenzie. Tennis is now played all year round, under floodlights in the dark evenings. There are many different teams taking part in the West of Scotland Tennis Leagues. Mini Tennis, for the very young players, is part of the league structure. 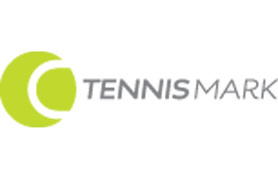 Under LTA registration, the Club gained Tennis Clubmark accreditation in 2009, superseded by TennisMark in 2016 and Safeguarding Minimum Standards in 2018. Tennis Scotland voted Lenzie Tennis Club to be Tennis Club of the year 2010. In 2012, we received funding from Sport Scotland and the LTA to facilitate rebuilding Court 4 with a hard surface. We have had the use of 4 courts since 2013.